This is the ninth in a series of suggestions for re-enchanting your life, one pixie kiss at a time. The introduction is here, and you can watch the path unfold here. 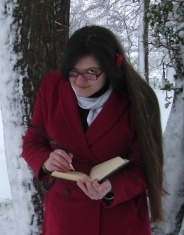 Inspired by Cat Valente’s Girl Who Circumnavigated Fairyland in a Ship of Her Own Making this kiss is about keys. Keys are important. With keys we lock secrets away in private journals, we open doors, we mark a rite of passage in which we receive the ability to choose when we enter and leave our own homes. Locking and unlocking, closing and opening, protecting and revealing… keys mean so much. Keys are symbolic, and real. What doors are open to you? What doors do you hold the key to, but have not yet unlocked? Find an old key and decorate it. Use coloured wire or thread or ribbon. Use paint or clay or beads. Use whatever comes to hand, or special materials you buy just for this. All the time you are decorating your key, know that you are doing more than just making it pretty… decorate it with intention, with the intention of enchanting it. 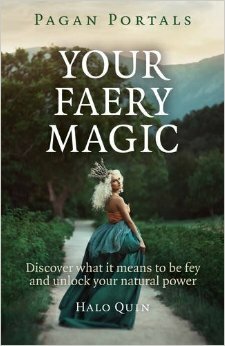 Transform your key into a magical tool for opening the doors to enchantment, opening the way to Faery. Bless this key that I have found! To open doors where it is planted! Thread a ribbon through the hole in the top and wear it round your neck when you want to invite more magic in, to remind yourself to be aware of the Fae folk, the kissing of magic and mundane worlds, as you move through your life. Hang it above the entrance to your home to encourage enchantment to flow in. Use it to draw doors in the earth outside, to open the way for magic to come through. Place it before you, light a candle, and muse on the question of what doors you wish to open, and what doors you wish to close in your life. Then hold the key and turn it in each lock as you imagine them before you, one way to open, the other to close. Wear your key as you take steps to help the magic open and close the doors you’ve asked it to, and sleep with it under your pillow to open the doors of enchantment in your dreams. May doors open for you and let beauty and delight flow into your life where you most need it.